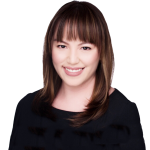 Nydia Ngiow is a director in BowerGroupAsia’s Singapore office. Previously, she had almost a decade of experience working in international affairs and international trade, with most of her career spent working for the Singapore government. Nydia was most recently a program manager at the American National Standards Institute (ANSI), where she held day-to-day responsibility for ANSI’s China Program, bringing together technical, business and policy leaders to find solutions to issues affecting U.S.-China trading relations to strengthen U.S. market access in China. She provided member organizations with coverage of policy and reform issues, furthering ANSI’s relationships with counterpart organizations in China. Having worked in Singapore’s Ministry of Trade and Industry (MTI) for over six years, Nydia represented Singapore in negotiations for free trade agreements, bilateral investment treaties and at the World Trade Organization. Serving as a negotiator on the Trans-Pacific Partnership is one of the highlights of her career. Nydia served as first secretary (economics) in the Embassy of Singapore in Washington, D.C., from 2014 to 2017, managing U.S.-Singapore economic and trade relations in addition to advocating for the Trans-Pacific Partnership. Prior to her time at MTI, Nydia worked for the Civil Aviation Authority of Singapore, managing international relations with Europe and Latin America, and working on international aviation environment issues. Nydia has a master’s degree in international relations from the S. Rajaratnam School of International Studies at the Nanyang Technological University, and an honors degree in political Science from the National University of Singapore. She speaks Mandarin Chinese, Cantonese and elementary French.